← Students changed through YOU! Last week Nate helped train Cru staff members who are leading over 200 Cru mission trips all over the world this summer. This week he will be running the finances for Epicenter, a Cru student conference. Over 300 students will be invited to consider how God could use them to change the world. Why should a student go to Epicenter and on a summer mission trip? In our privileged country it can be difficult to remember that God invites us to humbly find our joy in the joy of others. Both Epicenter and Cru summer mission trips invite students to find their joy in restoring others to relationship with the Creator who deeply loves His creation. 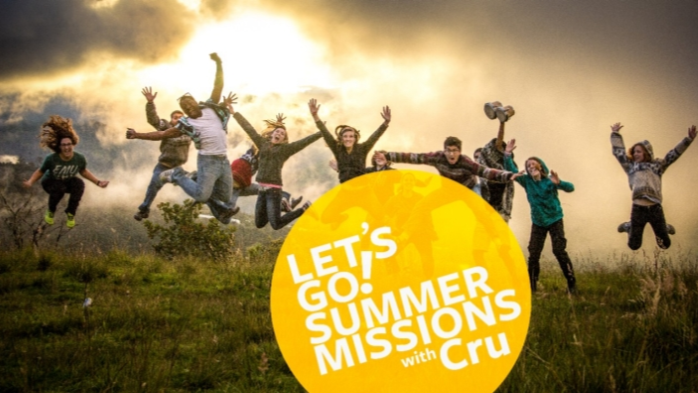 Not only do Cru Summer Mission trips change the lives of those who are gone to, they also change the lives of the students who do the going. Thank you for partnering with us in this new year! You are making a difference in the lives of students and in the world.